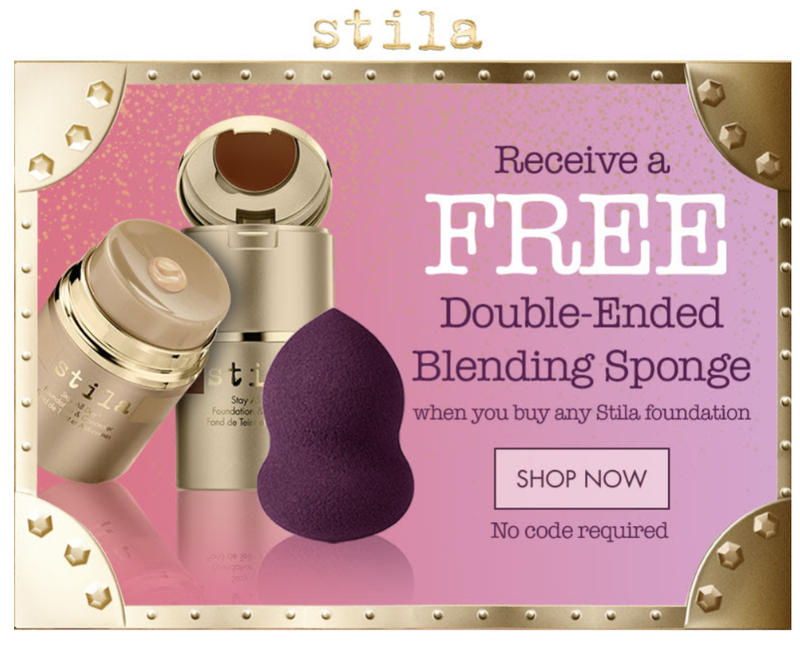 FLASH SALE: Free blending sponge with ANY foundation purchase! That's right, pick up any Stila foundation and the double-ended blending sponge - worth £10.50 - will be added to your basket when checking out! As always, there's Free UK Delivery on every order. This offer ends midnight Wednesday and only while stocks last, so shop soon to avoid missing out!